Ocuco, a U.K.-based leading practice management system vendor, has acquired See20/20, the supplier of the world’s first entirely cloud-based practice management system. The acquisition effectively secures the future of the See20/20 product for current customers. 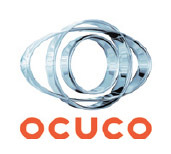 It will also enable Ocuco to build on its current UK market presence in cloud-based practice management solutions. The See 20/20 product will continue to be supported and all staff will join the Ocuco team. “We recognise that the Software as a Service or Cloud deployment business model offers a low upfront cost service option which is particularly appealing for smaller independent opticians. The acquisition of See20/20 will extend our already existing capability to offer cloud-based (SaaS) practice management solutions to opticians. We plan to improve See20/20 by integrating it with our OptiCommerce, adding an online sales and appointment booking channel to customers’ practices. We are also looking forward to benefitting from See20/20’s excellent pool of experienced talent in the development of cloud-based practice management solutions,” says Leo MacCanna, Ocuco CEO.